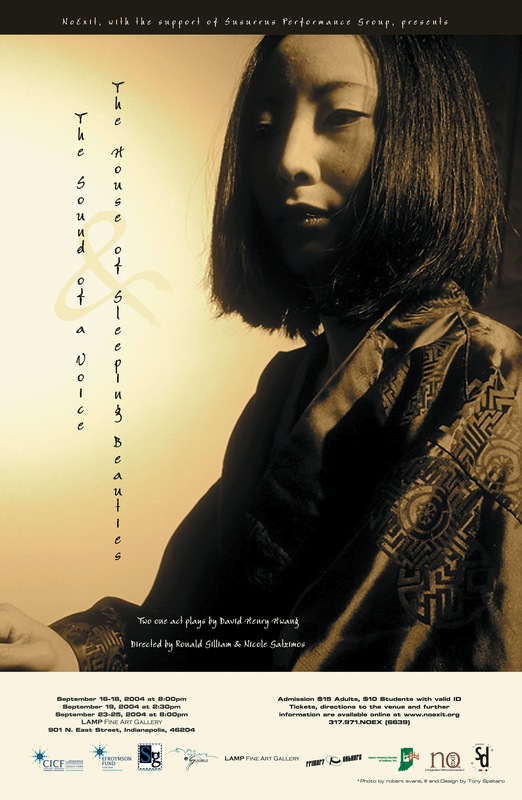 The Sound of a Voice by David Henry Hwang was written in 1983, and is an adaptation of a popular Japanese folk tale about a woman who lives in solitude. The play is about her interactions with a wandering samurai, who wishes to uncover if she is the infamous witch in the mountains. 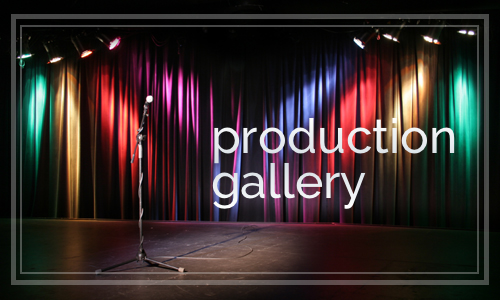 This Indianapolis-based production was directed by Ronald from New York City via webcam before the technology was widely known. The House of Sleeping Beauties, another play by Hwang, directed by Nicole Gatzimos, was performed immediately after The Sound of a Voice. These two performances marked the inaugural productions of NoExit Performance, the company Ronald and Nicole co-founded.